World's largest Digital documents library 'Scribd' announced that, they were hacked in a recent attack and hacker potentially able to compromise general user information, which includes usernames, emails, and encrypted passwords of partial database. "Even though this information was accessed, the passwords stored by Scribd are encrypted"
They emailed every user whose password was potentially compromised with details of the situation and instructions for resetting their password. "Earlier this week, Scribd's Operations team discovered and blocked suspicious activity on Scribd's network that appears to have been a deliberate attempt to access the email addresses and passwords of registered Scribd users." 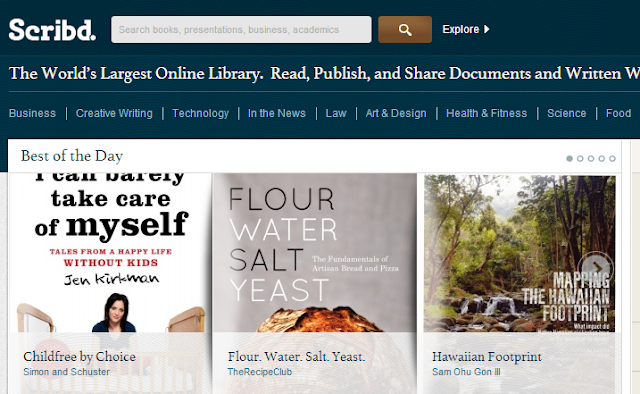 Scribd team said on blog post. If your account was among those affected, visit http://www.scribd.com/password/check and Check that you are one of the lucky victim or not, I got "Good news - your password was not among those compromised. You do not need to take any action at this time." No content, payment and sales-related data, or other information were accessed or compromised. Scribd also mention that if you did not receive an email from them, you are most likely unaffected. "We take our responsibility to protect our users' data extremely seriously and constantly improve our security infrastructure and policies. Following this incident, we have implemented numerous additional safeguards." A number of high-profile websites have been hit in the past year with similar attacks, opening up important questions about password security and the re-use of passwords across services. It is important to remember to never re-use passwords across services and to never use passwords that are dictionary words, names, or other easily-guessable choices.